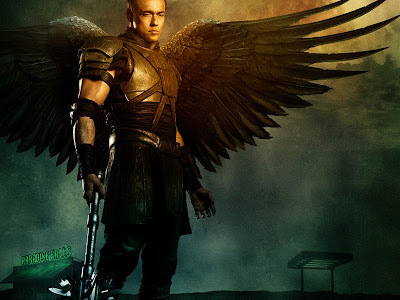 After God loses faith in humanity, the fallen angel Michael (Paul Bettany), is the only one standing between mankind and Apocalypse. This time sending angels to perform the Last Judgment, God's power descends on Earth to end the whole mankind. 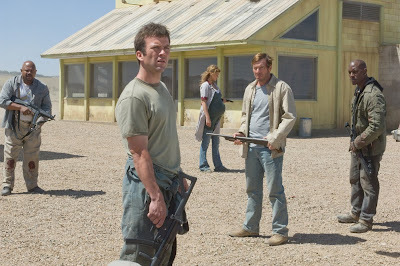 In a desperate battle of survival, Michael leads a group of people to a small New Mexico diner to become heroes and protect a young waitress (Adrianne Palicki) who are believed to be pregnant with Christ in his second coming. The plot is deep, so deep that you can't watch it while you are preoccupied with other matters. This is a brave attempt to write a fiction about the Divinity of God showing that he lost faith on the human kind which may rise a lot of criticism from people who has strong conviction on biblical matters. Acting wise everyone did a good job and I'm very amused to see Paul Betanny again after seeing him on The Da Vinci Code. Betanny is the next big thing on character actors such as Johnny Depp, the late Heath Ledger and Jim Carrey. Word of advice, focus on the movie when watching it because you may lost focus on the plot. Some scenes are confusing and hard to understand. My favorite scene is those scene with the angels spreading their wings. Yup, simple scenes but I can't help myself be amused by the CGI wings, And they are bullet proof.. But I may say the fight scene between Michael and Gabriel (Kevin Durand) is a little half baked. I expect a more intense duel and didn't expect that the fight will end that simple. Other than that, I also feel that the movie lacks something that I can't really figure out or maybe it didn't live into my expectations. But maybe I may watch it again just for a much deeper look. This movie is not for all. You may find it boring or others may find it good. The plot is very sensitive, take your chance. Opening across the Philippines today, Jan. 22. Distributed by Columbia Pictures, local office of Sony Pictures Releasing International.